Save BHD 1.24 (20%) – Earn 5 Shukrans What is Shukran? Shukran is the Landmark Group’s award-winning loyalty programme in the Middle East, which allows you to earn Shukrans when you shop any of our brands. 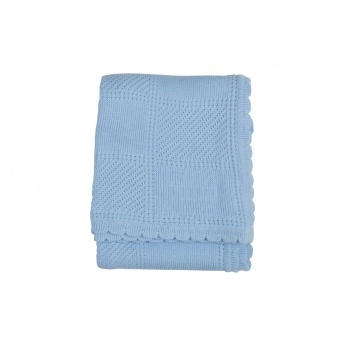 Featuring scalloped edges, this cellular blanket is a must-have bedding item for your baby. 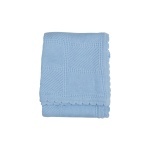 It sports fine knit work in pleasant shade for daylong cosiness.